With four kids, sometimes a mid-day tea break is necessary and this Spiced Chai Tea is just perfect for that! 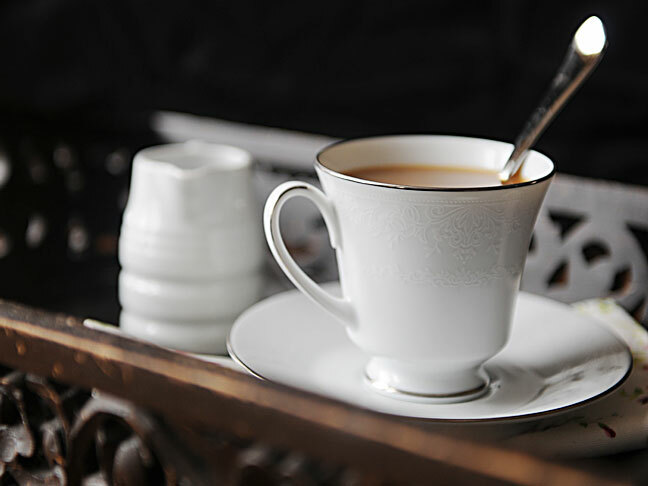 I love to take just a few minutes out of each day to sit down with a hot cup of coffee or tea and relax…quiet time to reflect on the day and to prepare for what’s coming next. Even during the warmer months, a cup of tea can provide comfort and can relieve stress when you take the time to pause life and enjoy it. One of my favorite afternoon teas is a spiced Chai tea. I love the blend of spices and how the aroma of cinnamon and ginger fills your home. One can’t help but stop and take a breather when you have a cup of this goodness in front of you. Go ahead, make a cup and relax. You deserve it! In a small saucepan, combine water, tea bags, cinnamon, cardamom, clove and ginger. Bring to a boil. Reduce heat; cover and simmer for 5 minutes. Stir in milk. Return to a boil; boil for 1 minute, then strain. Stir in sugar until dissolved. Pour into 4 separate mugs and serve warm.